The Episode starts in Kumud’s room. Kusum comes to her and asks her to come for dinner. She notices that Kumud’s kamarbandh is missing. When she asks, Kumud says I might have kept it somewhere and sends her. Ilaben’s son comes to Saras and asks whether he is hungry. Saras says yes. The boy says he had enough food today happily. Saras also feels happy for him. Saras thinks Kumud might be coming now with food and he will say sorry to her. Kumari takes food for Saras, Kusum asks that Kumud is not going. Kumari says as Kumud will be busy making mud pots. Kumud in her room searches for her kamarbandh. Chandrika tells that Yash’s mother was angry yesterday. Kusum is shocked to here as she was not knowing that. Kumari asks Chandrika whether Yash’s mother said anything to Badimaa. Chandrika says No. Kusum tells Kumari not to tell of this to Kumud. They send Kumari to go to Saras. Kumud realises that the kamarbandh might have fallen in Ilaben’s house, and Saras might be having it. She decides that she will not meet him. Ilaben offers Saras food, just then Kumari brings food from home. Saras thinks that Kumud did not come. Kumari takes Ilaben’s welfare. Ilaben taunts Saras. Kumari asks Saras to have food. Kumari asks if he wants anything else. He says No. Kumari asks whether he has to ask or give any message to Kumud. He says No. She says ok and leaves. Saras thanks her for bringing the food. Kumari tells Saras that Kumud is going to make mud pots in the night so that she can go to school in the morning. So that he does not get hurt. Kumari conveys the message and goes. Saras thanks her again. Saras tells that Kumud is not willing to meet him that is why she has sent the food with Kumari. He says she is right as he did not know his limits. He says Kumud not to help him. The next morning, Saras is seen working in Ilaben’s house and he comes to know that Kumud has sent money with Kusum and Ilaben is going to his son’s school to give him food. Saras feels sad that Kumud is not going to meet him. He thinks she might also be in school so he tells Ilaben that he will go to school to give her son the food. Ilaben says that what Kumud is doing you always remember that. Everyone gets a wife, but only with luck, one can get a sacrificing wife. He says ok and leaves. Yash calls her home and talks to his mother. She tells him that she has to make a story daily to save him. Kumud’s mother stands behind her but does not listen anything. Yash’s mother is shocked. Kanti kaka sees Yash. Kanti kaka wants to talk, and Yash runs. Saras gives Ilaben’s son the food. He searches for Kumud and sees her with other teachers and goes near her. She starts leaving from there. He calls her name and stops her and says that whatever happened yesterday I’m really sorry. Kumud says enough. Kumud tries to go. He again stops her. He thanks her that she has sent money to Ilaben. 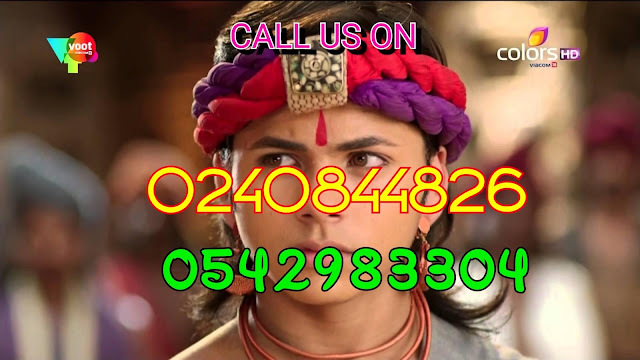 Kumud says that if you can help us without any relation then I can also help you. They stare at each other. She says that he has said No without even seeing her. Kumud gets angry. Nothing remained between us. She says that things are changing between them and it is becoming tough for her. He should leave. Saras that he cannot go till he finishes everything. Saras tells Yash was taking a false oath of his mother. Kumud is shocked., Saras leaves. She says she will let him do this. Ghuman is planning to hurt Vidyachatur as Laxminandan has gone outside Dubai. Kanti Kaka calls for Laxminandan and Ghuman talks to him. Ghuman comes to know that Vidyachatur is worried. She asks the reason. He tells her about the Gau Hatya. Kumud tells Saras to go freely. He says even if he goes or stays, we will be always apart. They walk in opposite direction. Yash’s mother feels that she is going in trouble each day. Ilaben tells Saras that Kumud has sent her the money and he need not work there. Ilaben confronts Saras as she comes to know the truth that Saras is doing the prayaschit only to stop Yash from taking a false oath. Ilaben realises that Saras loves her mother very much. Saras denies that he is not understanding what she is saying. He says Yash is innocent. Ilaben says even she is a mother and she can see the truth in a son’s eyes. He says that he was seeing hatred in her eyes and he felt burdened, today he is seeing forgiveness, he is feeling that the prayaschit is over. He asks Ilaben can I buy a cow for you. She says yes. But she keeps a condition saying can you say taking your mother’s oath that you have hit the cow. Saras is silent. Kumud talks to her mother saying Yash is not innocent. Kumud’s mother says that Vidyachatur has given a promise to Badi Bhabhi (Yash’s mother) and they cannot do anything now. Kumud asks what promise? Kumud talks to her mother. She says she wants to end this soon and they have to face the truth. She says she has to save Saras. Whatever he is doing is for their family. He is doing the prayaschit and bearing the pain. Her mother says that till yesterday you were also knowing that he is innocent, then why today you are saying all this. Is there any inclination towards him? She says she was doing his help as humanity. Kumud says No. She is not favouring him. She is doing for humanity only. She says she knew he was innocent but today she came to know that whose sin he is taking onto himself. She says It is Yash who was driving the car that day and who had hit Ilaben and the cow. Kumud’s mother is shocked to hear this. Ilaben’s mother-in-law talks to Saras. She says that without doing any sin, if we punich you to go to hell, then our Lord will make our lives hell. She leaves. Saras is silent. Kumud says that it is hard to save Yash but the truth is Yash has done the mistake. To save him, can we see someone innocent to bear the punishment, can we bear the burden whole life? Kumud’s mother says Yes, because Vidyachatur has promised Badi Bhabhi. Kumud asks what promise. Kumud goes to Yash’s mother and talks to her. She asks her who hit the cow. Badi bhabhi says Vidyachatur that she has told him beforehand that do not give Kumud so much freedom. Kumud argues with her a lot. Vidyachatur hears all this silently. Badimaa, Kumud’s mother, Chandrika stand there and hear. Kumud says Badi bhabhi has made Vidyachatur helpless that is why he is not able to say anything. Vidyachatur calls Kumud to stop her. Kumud then patiently asks her about Yash. What Yash was saying to her that morning when the accident happened? Kumud tries to ask her again and again. She says if you trust Yash has not done anything, then why are you worried. Kumud faces her boldly and asks her what Yash has told her. If Yash is innocent, then why did you take promise from him. Kumud pleads for Saras and says Vidyachatur is unable to do anything for Saras. Kumud cries and asks Badi bhabhi to stop all this. Badi Kaaki(Yash’s mother) says Vidyachatur to stop Kumud from saying this. Kumud says that Saras has taken the blame on himself only to stop Yash from taking your false’s oath. Everyone are shocked to hear this. Badimaa recollects that how Saras has stopped Yash. Kumud asks her again. Badi Kaaki is silent. Kumud says if you do not say anything, I’ll find out the truth myself. Badi Kaaki reminds her that Vidyachatur has made a promise to him. Vidyachatur says her that he has promised her, not his daughter. Vidyachatur says Kumud to go for Saras and take his responsibility. Kumud smiles with happiness. Vidyachatur is also happy and he too smiles. Yash’s mother gets tensed. Ghuman’s didi calls the police and informs about the Gau Hatya, so that Saras gets arrested. Ghuman comes there and hears this. Ghuman gets annoyed and asks why did she called. Ghuman acts as if she will support Saras. Then she laughs off and they both cheers and breaks the glasses. Kumud goes to search Yash to his friend’s house. She hears his friend talking to him. She hides and hears their conversation. She follows him to reach Yash. Yash says his friend to help him out. Kumud goes there. Saras comes to Kumud’s house. Badimaa opens the door and cries while seeing him. Badimaa says sorry to him and she came under Ghuman’s influence. He greets her well with respect and touches her feet. Kumud confronts Yash, saying that Yash is her brother and because of him, someone innocent has to face the punishment. Yash runs away. She stops his friend and asks him what happened that day. Vidyachatur and Kumud’s mother welcomes Saras. He greets them well. Vidyachatur hugs him. Saras tells he wants some help with Vidyachatur. Ghuman says Didi that the friendship which Laxminandan wants to change to a relation, she will turn it into hatred, and Saras will be influenced in the hatred. Ghuman says she will go to Ratnagiri. Kumud thinks if the truth comes in front of other, then Yash has to face a big punishment. What should she do now. Kumud comes home. She sees crowd outside her home. She sees a new cow with Ilaben. Everyone are happy. She looks at Saras. Ilaben thanks Saras. The Pandit says that now they will forgive Saras and Vidyachatur’s family. Kumud gets very happy with others. Ilaben says Saras that your prayaschit is complete now. Kusum asks to congratulate Saras. Kumud and Saras talk heart to heart. Kumud says you did a very big favour, and how will I repay you. Saras says I hope you have forgiven me.